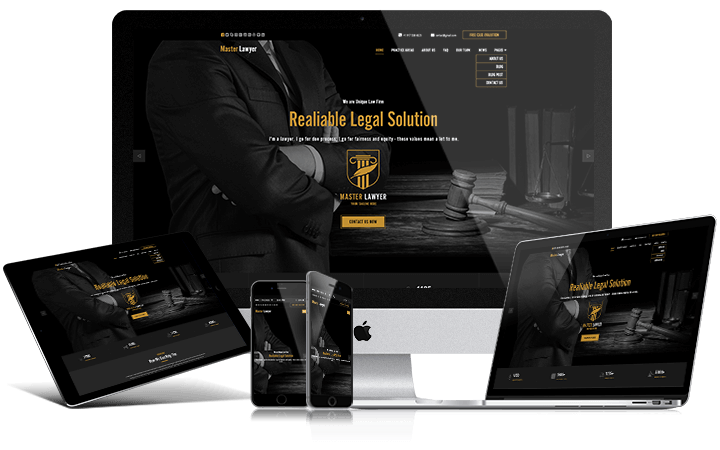 This is Gridgum’s new Lawyer Bootstrap theme. 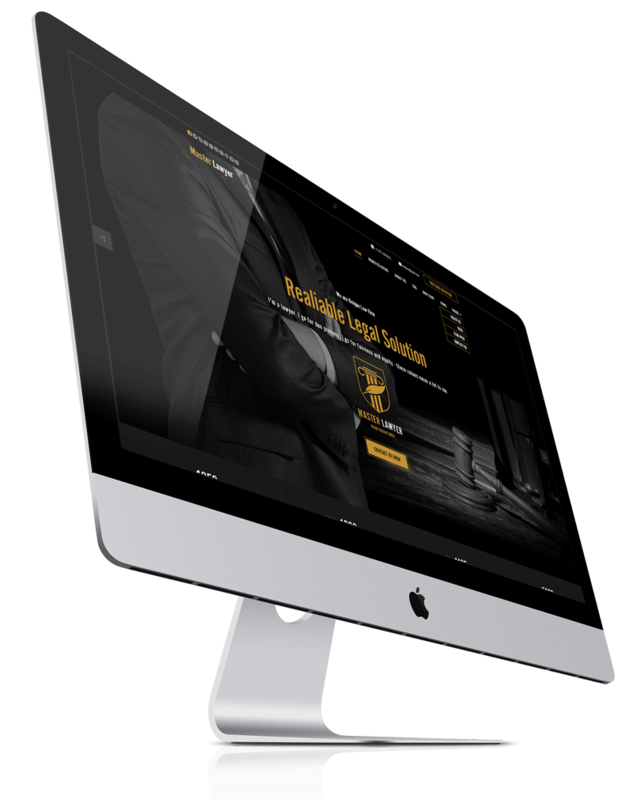 This template has everything a lawyer’s website should have, it’s structure fits the lawyer theme perfectly. Firstly, it is a premium bootstrap template, therefore it is easy to use and manage by anyone who knows how to use a computer. Bootstrap has another huge advantage – responsiveness. This template fits any screen size perfectly, it changes layout and design according to the screen size of devices it is entered from, so people can access it on their smartphones, tablets anytime they want. This is especially useful nowadays, as PCs are no longer the most popular devices people use to access the internet. This lawyer bootstrap theme has 7 main menu items for: Home, Practice Areas (which has lawyer practice fields which customers can use to easily find desired services), About Us (which you can use to write a little bit about the practice), FAQ, Our Team, News and Pages, which has a drop-down menu for with extra pages and 2 styles of contact page. When scrolling from the homepage the design displays pages on the main menu one by one and as always it has a beautiful slideshow in the center of the homepage. Using Practice Areas and FAQs every customer can narrow down the search area finds their desired lawyer and attorney services easily. Even though it is a bootstrap template and is easy to manage, some customers still have trouble after purchasing. The template package includes very detailed documentation. If you thoroughly read it there's a very good chance you won't need any other help from our team. Regarding our Support: If this is the full life support. You may ask what this life support is – it is a service to provide you with information and not only if anything here was unclear and you need any help. So, in this case, feel free to request any kind of help in the COMMENTS section above, and our team will not only reply, but make a special video tutorial if needed. Gridgum offers life support service to anyone who purchases one of our templates, so if you are having trouble figuring something out, leave a comment and you will get a step-by-step video tutorial explaining everything thoroughly.